The idea of writing a will can be a difficult consideration for many people. Yet perhaps what is more distressing is the thought of leaving loved ones without the financial security you would have wished for them. There are many benefits to writing a will. This very important document can help reduce inheritance tax, name guardians to look after children, allocate who inherits your estate and it can also help avoid family turmoil surrounding inheritance and funeral arrangements, as your wishes are formally outlined. Critically, it gives you peace of mind that your affairs are in order. It is also important to keep wills updated, as circumstances can change which can result in you wanting to amend your wishes as to who inherits your estate. A will can also name an executor, who is someone given the legal responsibility to handle the deceased person’s estate. There have been concerns raised about the amount professionals such as solicitors can charge as named executors of wills. However, claims that solicitors charge excessive amounts is misleading, damaging to the profession and potentially harmful to consumers. 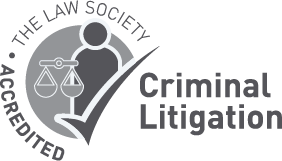 While there are indeed unscrupulous individuals in every profession, there are many checks and balances in place designed to prevent individuals being overcharged by solicitors. 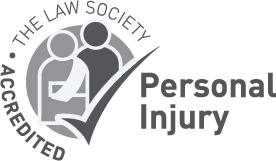 The legal profession follows stringent professional standards and its regulatory body, the Solicitors Regulation Authority, has very robust procedures in place for investigating and acting on complaints. In 2014, the Law Society introduced a Wills and Inheritance Quality Scheme Accreditation (WIQS), which is designed to provide a best practice quality mark for wills and estate administration. It also stipulates what and how solicitors should charge for these services. “When it comes to the writing of wills, advice to avoid using solicitors is unhelpful and likely to lead to more disputes and problems down the line if wills have not been professionally written. Hutchinson Thomas is the only law firm in Swansea with the Wills and Inheritance Quality Scheme Accreditation (WIQS).